How Do I start a Business and Make Money from Cable TV? Its very possible to start a business with cable TV and start earning some cash through it. This kind of business idea is very common in every part of the world even in US, UK, Canada, Africa and other part of Europe. 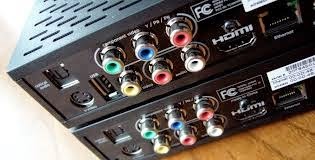 If you have a cable tv like dstv or others with lot of cable channels, then you can watch and still make money through the subscription simply by getting a small space or large, a hall, shop or an open space in your area and begin to use the cable tv as a business to earn money. 1. One of the best way to use a cable tv for business is to start a sport viewing centre. People are ready to watch the English premier league, La Liga, German league and the Uefa Champions league in a viewing centre especially when it cheap and well coordinated. This is a business idea that still works till now. 2. Another way to use a cable tv for business to generate income is to also get a place and use it as a cinema or movie centre inn your area. When there are no matches at that time, you can also set up the place especially on weekends for movies. If you display the movies series or action movies for that time, customers will come and watch and you get some cash from people who want to watch some movies. 3. You can also make money from a cable tv business by placing a large screen or television on your cool spot or restaurant. When people watch different programs on your cable channel, there probability that customers will be more confortable, spend more time watching some cable channel and spend more. 4. A recent way to make money from cable TV business is through sport bets. If you run a sport betting business or if you are a sport betting agent, then the sport channels on your cable TV will attract customers to your business. 5. Another way people make money from cable TV as a business is to sell, configure or repair cable decoder. If you have a shop to sell or repair a Cable decoder sales then you need to display any channel from your cable TV as adverts to attracts buyers to your business. These are ways cable TV can be used as business either to enhance sales of product or be used to make money as services. Other business ideas and ways of making money are described on this site, just use the search box above to search any topic or business idea you want. Thanks for reading.